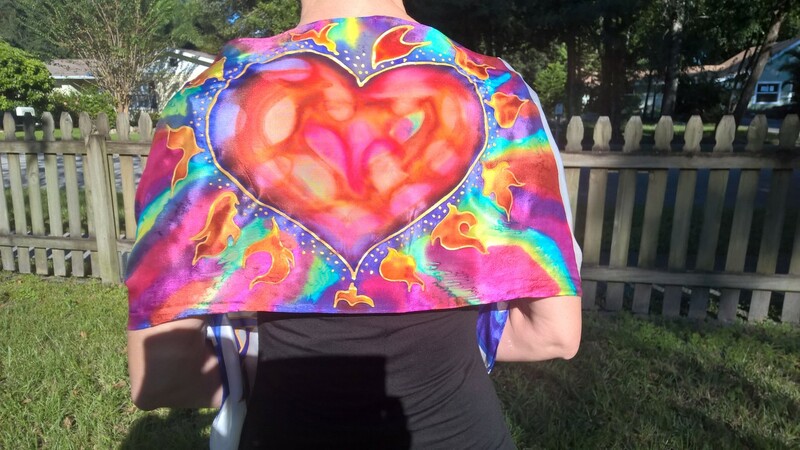 Heart for Israel Scarf - 3 Strand Cord Silks - Glowing Silk Flags & Billows based on the Bible, Jesus and His Church, to enhance your worship of God! 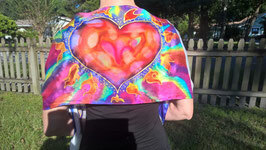 Gorgeous new silk scarf design ~ my latest! 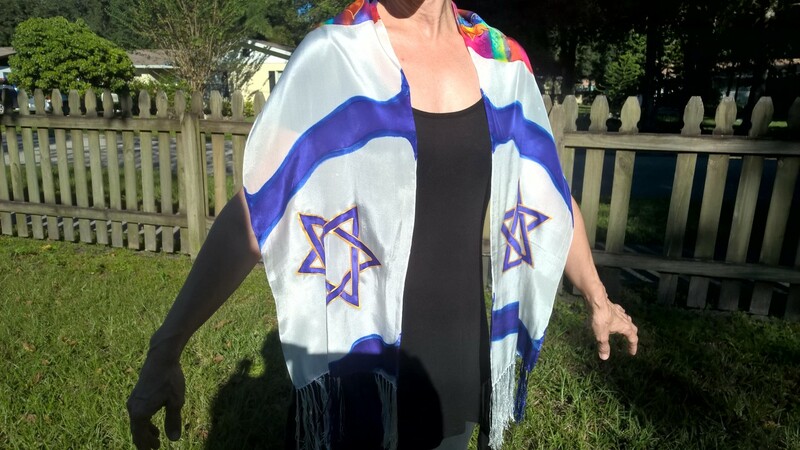 A burning heart of love will lay across your back and shoulders, while the blue Stars of David on white background with blue stripes (like the flag of Israel) float over your shoulders and down the front. Fringed - 11 x 60". 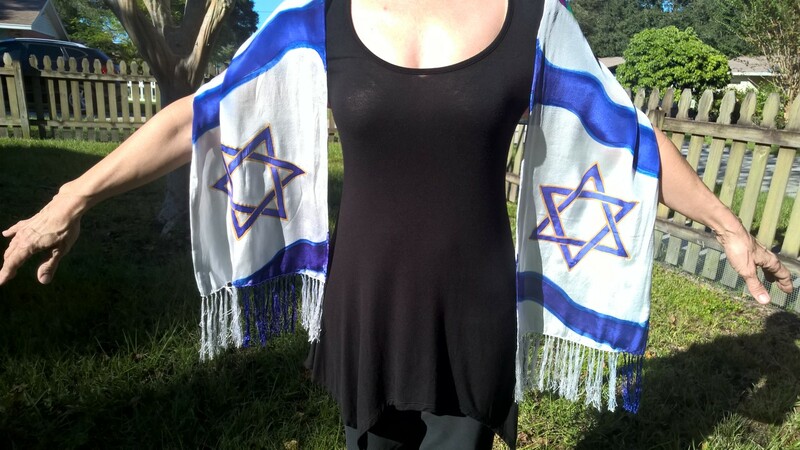 Gorgeous new silk shawl design in a new, larger & longer size (14 x 72") A burning heart of love will lay across your back and shoulders, while the blue Stars of David on white background with blue stripes (like the flag of Israel) float over your shoulders and down the front. Fringed.